I thought I’d post something different & decided I would post a recipe. I try to cook a nice meal every night for my boyfriend & I but sometimes I just need something super quick after a long day at uni or if I have too much work… tonight was one of those nights. 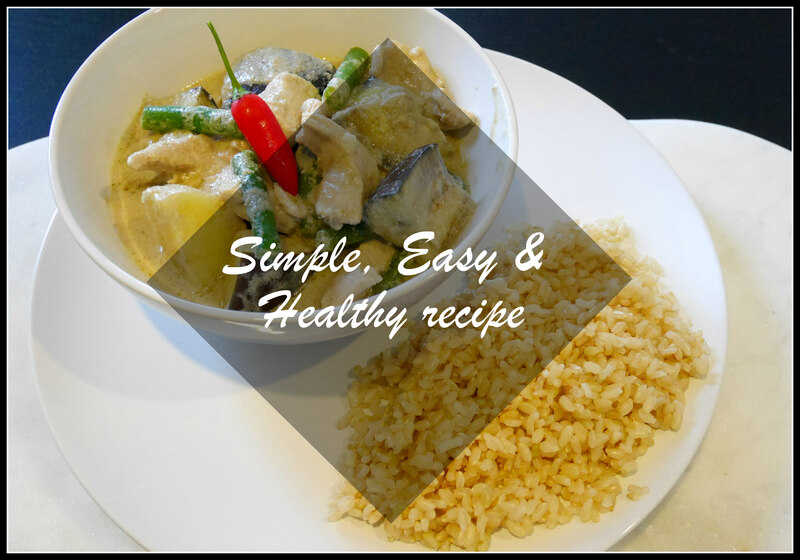 I made one of my favourite recipes, Thai Green Curry. This recipe is so quick and simple & great for vegetarians, vegans, etc. (I added chicken but obviously you can just throw in any vegetables you like. Chop up the vegetables. I cut the green beans in half, the potatoes about 1.5cm wide & the eggplants about an inch. I cooked about 1 cup of brown rice for two people. Put about 3 tablespoons of the paste & fry for about 2 minutes. Add in chicken & potatoes & let that fry for another 5 minutes. Then add in half a can of coconut milk & 1/4 cup of water. Let that simmer for another 5 minutes. Then add the other half of your coconut milk & another 1/4 cup of water & let that simmer for 10 minutes. Dish up your curry & brown rice & enjoy! This look so so good, I might try it myself tonight. Thanks for sharing and I just followed you to not miss a thing. Aw thank you so much, that’s made my day! Let me know if you do try it. will certainly give this a go!!! looks super yummy!